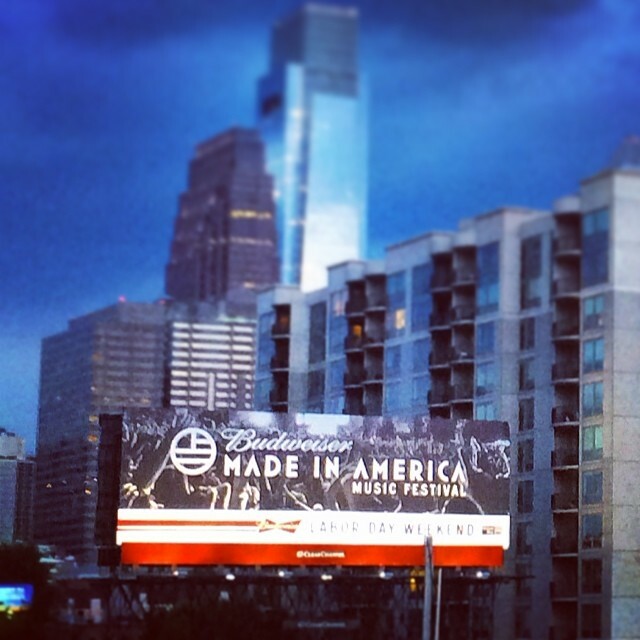 Photo of Deadmau5 from Made in America Festival 2013 used on a billboard in Center City, Philadelphia. 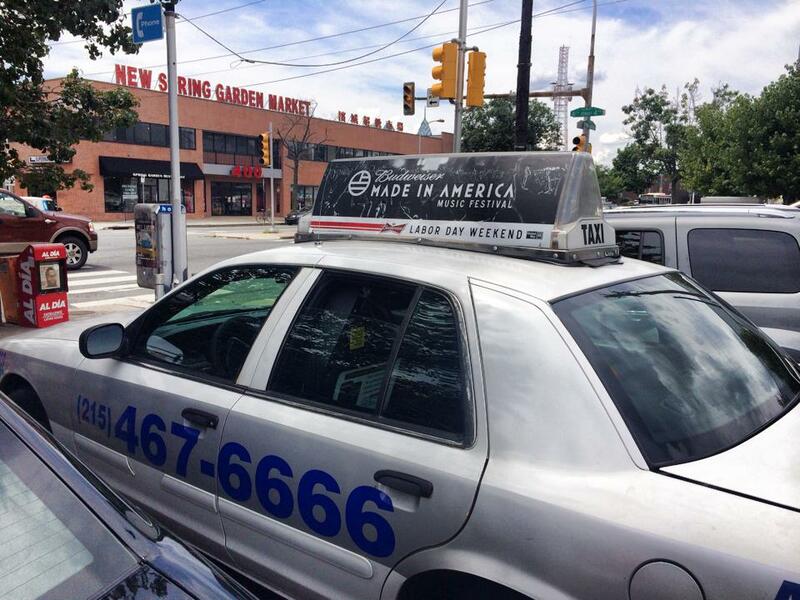 Photo of Deadmau5 from Made in America Festival 2013 used for city wide advertising campaign on top of cab cars. 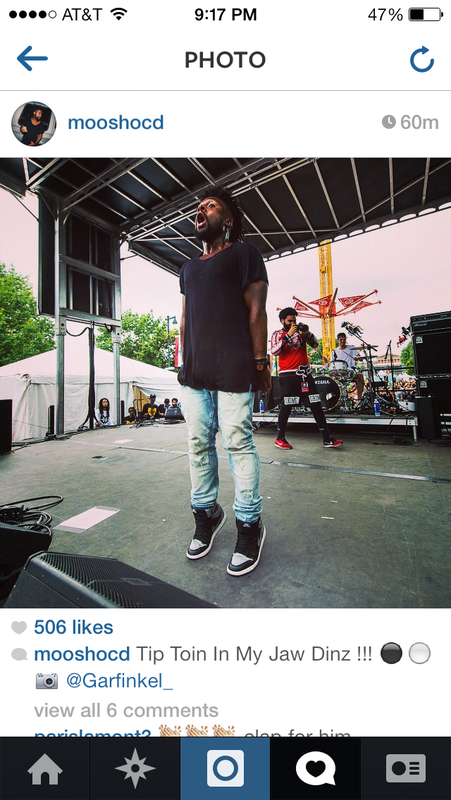 Moosh from Philadelphia based rap group OCD: Moosh & Twist sharing my photo taken at Made in America Festival. 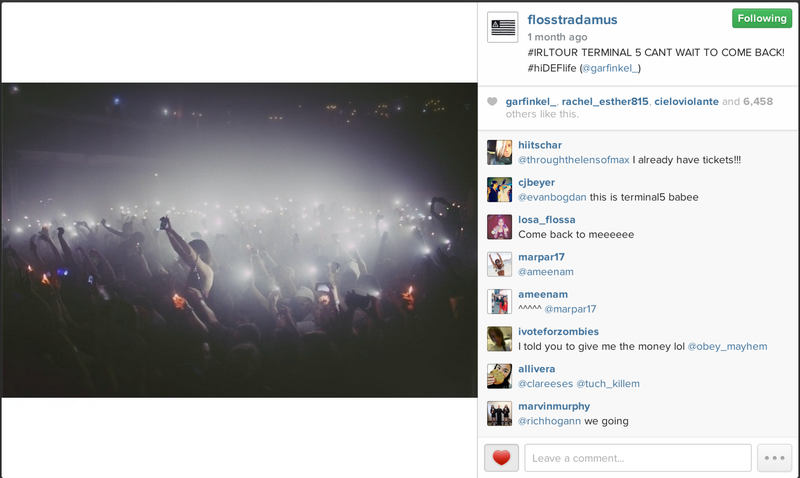 Flosstradamus sharing photos taken for them. 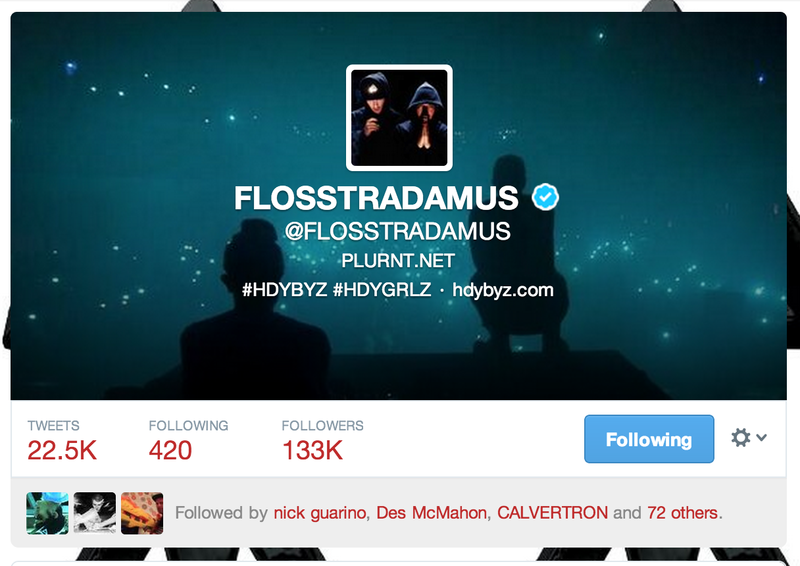 Flosstradamus using my photo as their Twitter cover photo. 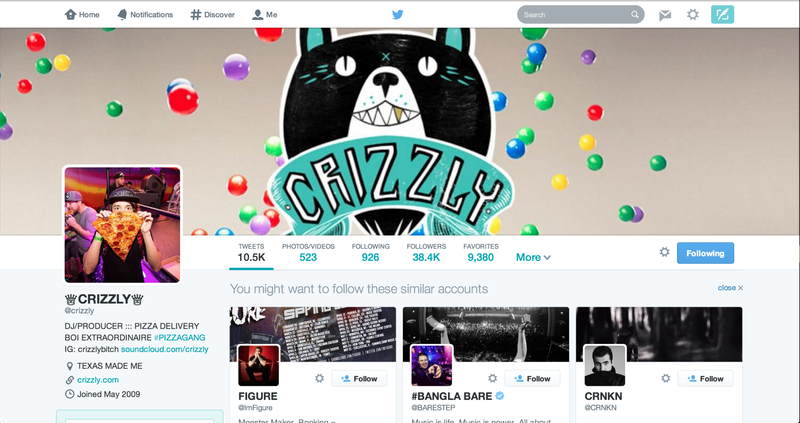 Crizzly using my photo as his Twitter profile photo. 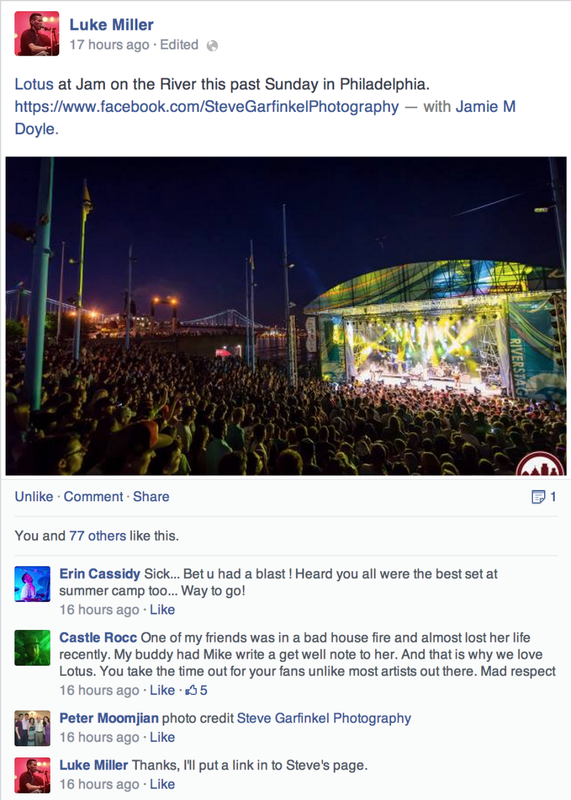 Luke Miller from the group Lotus sharing my images from Jam on the River. 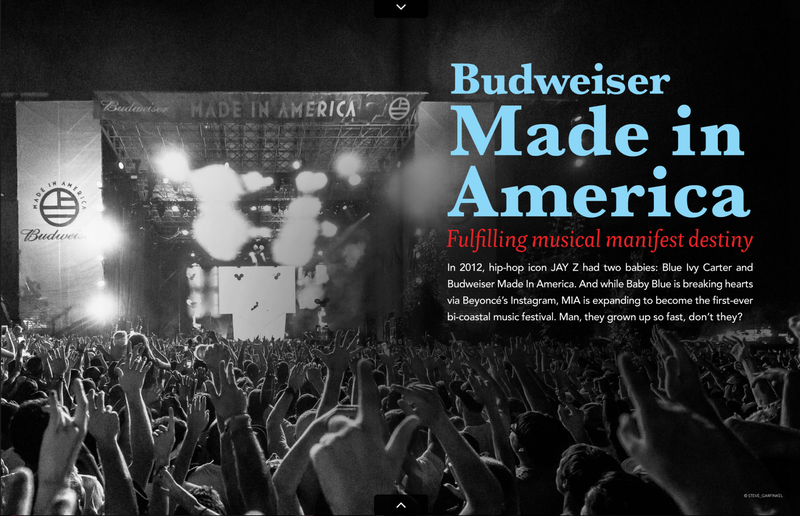 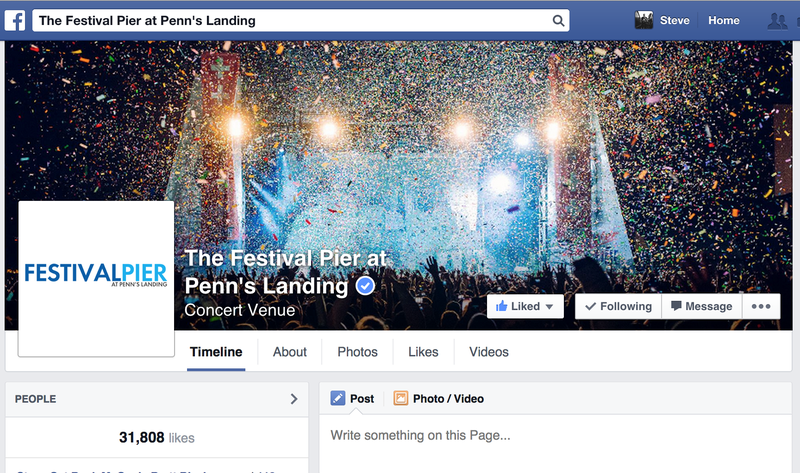 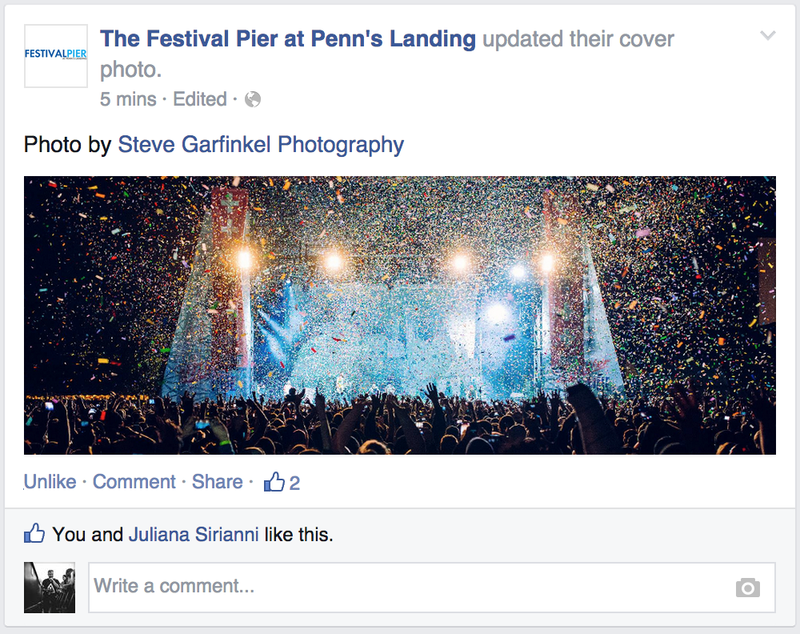 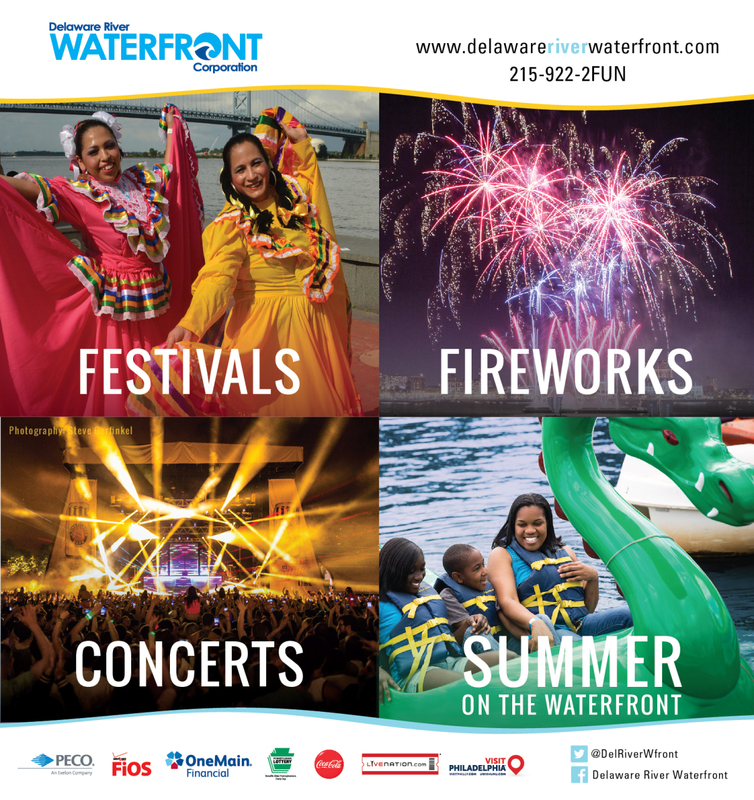 Live Nation venue Festival Pier using my image as their Facebook cover photo. 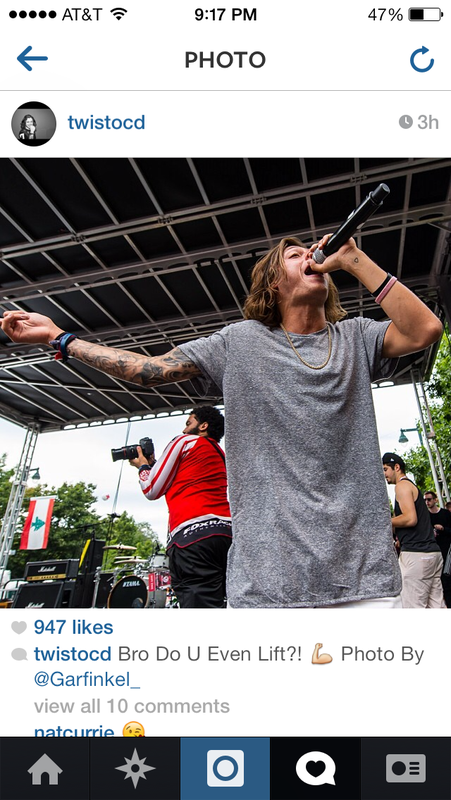 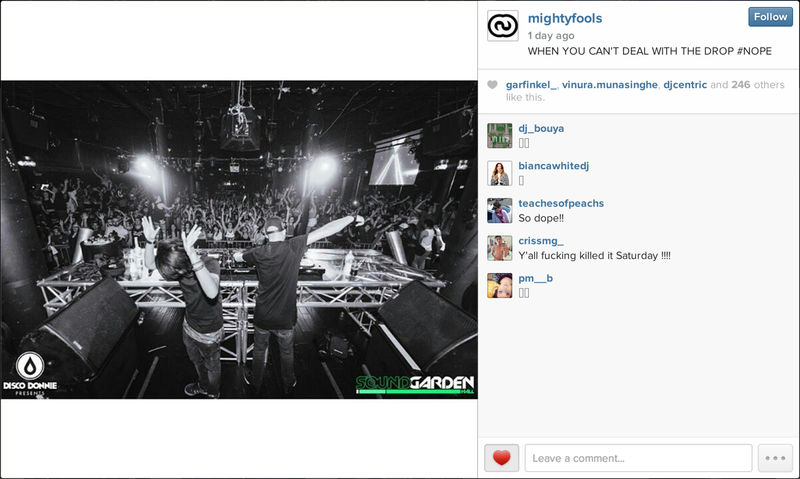 Mightyfools sharing my photo of them on their Instagram. 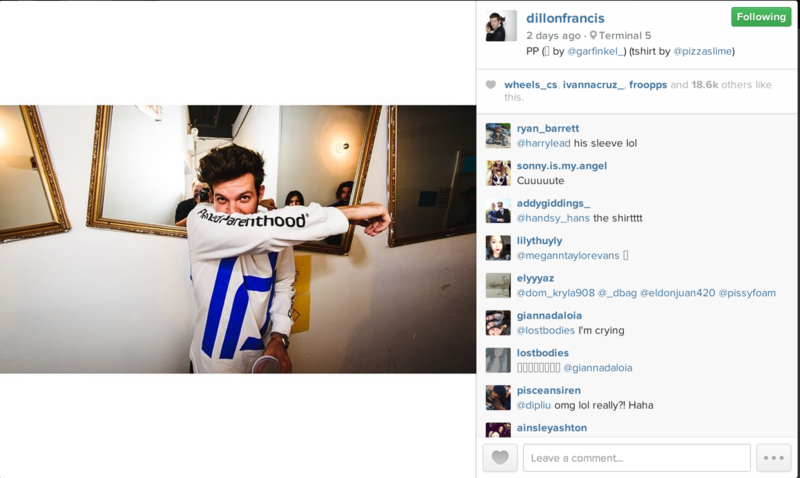 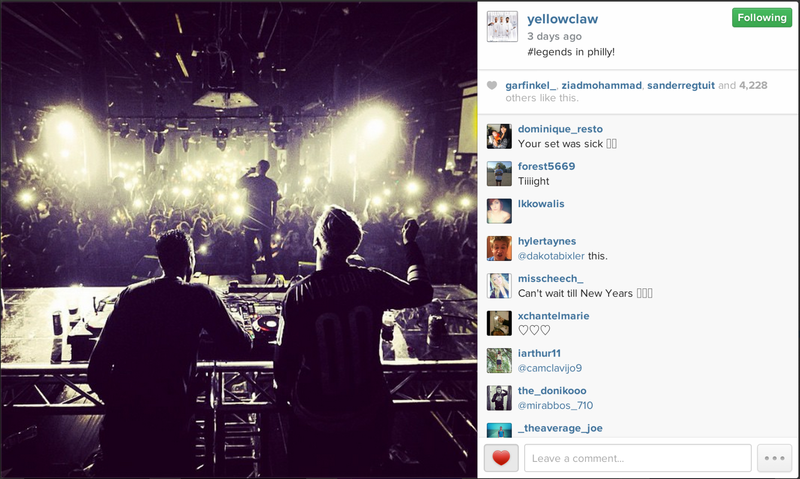 Yellowclaw sharing my photo of them on their Instagram. 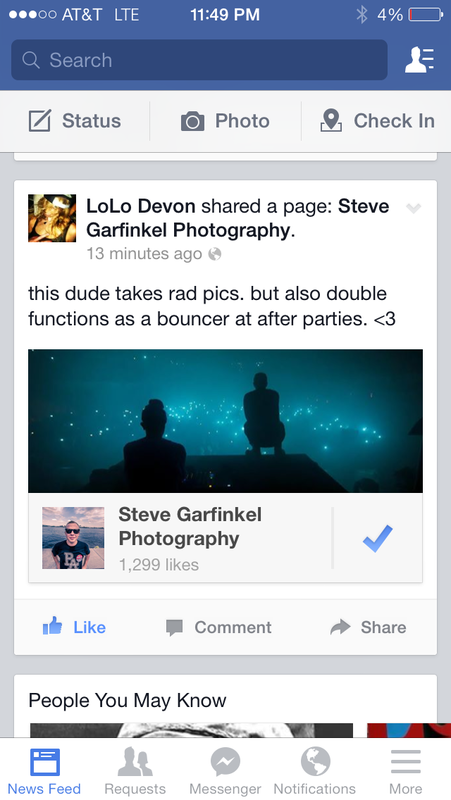 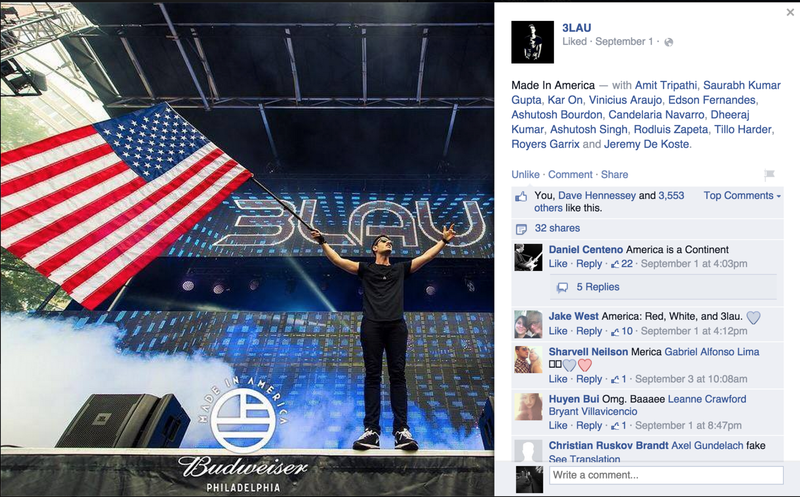 3LAU sharing my photo from Made in America Festival to Facebook. 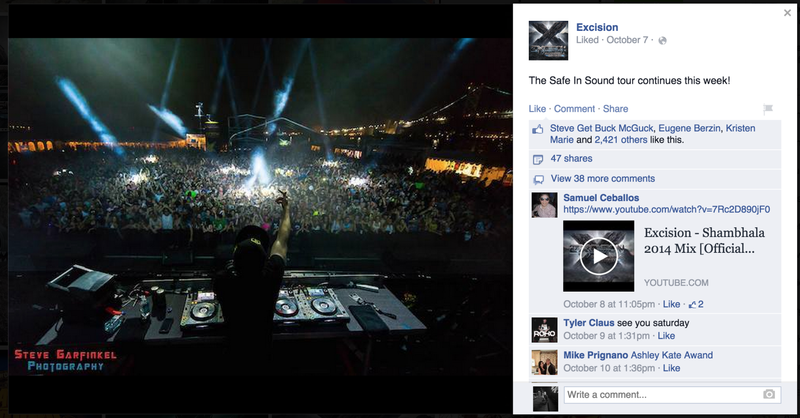 Excision sharing my photo from Safe in Sound Festival at Festival Pier to his Facebook. 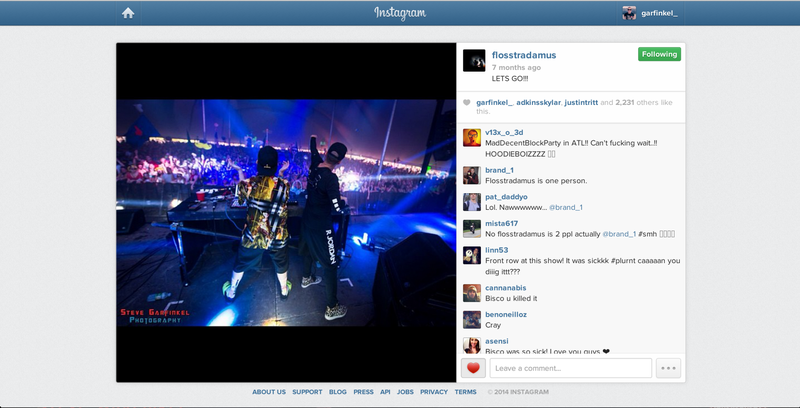 UZ sharing my photo from Safe in Sound Festival at Festival Pier. 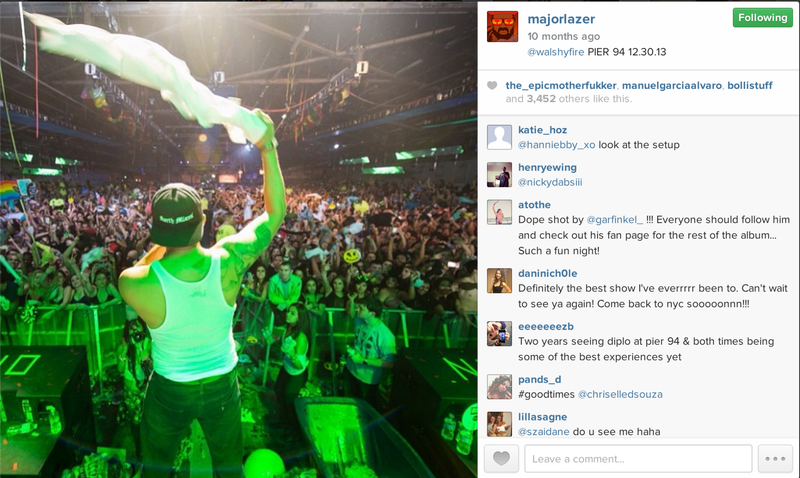 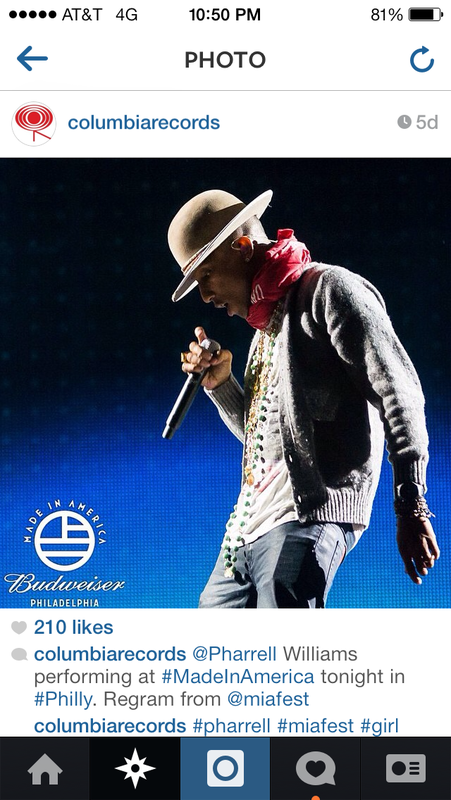 Major Lazer sharing my photo from their show at Pier 94 in NYC. 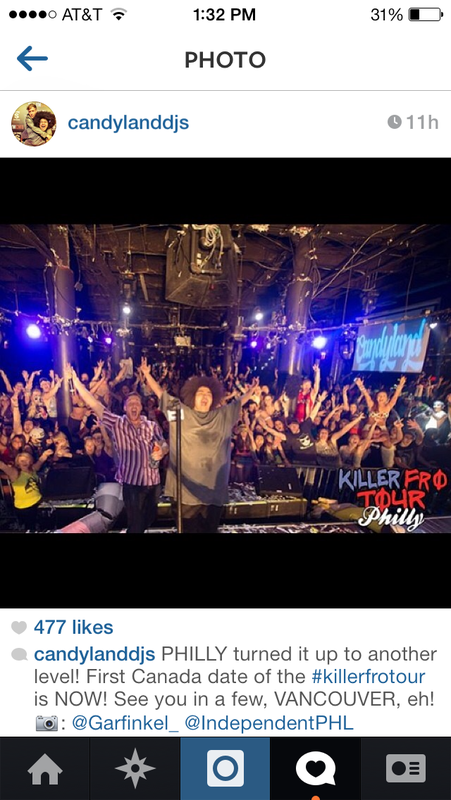 Swizzymack sharing my photo from the Electric Factory. 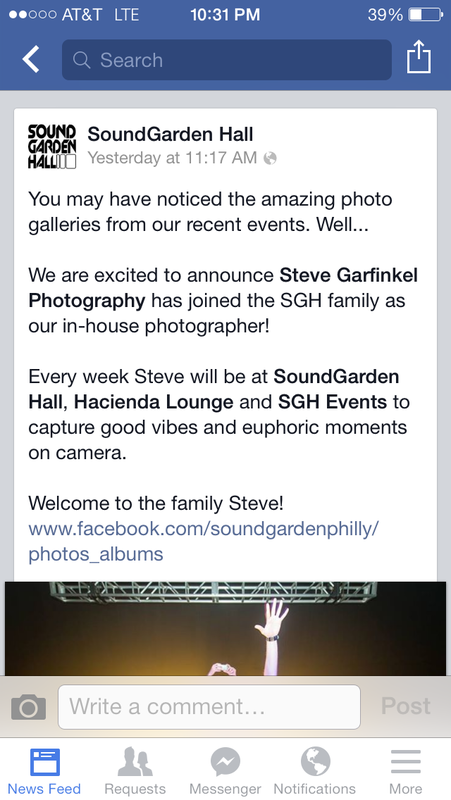 Break Science sharing my photo from their show at Soundgarden Hall. 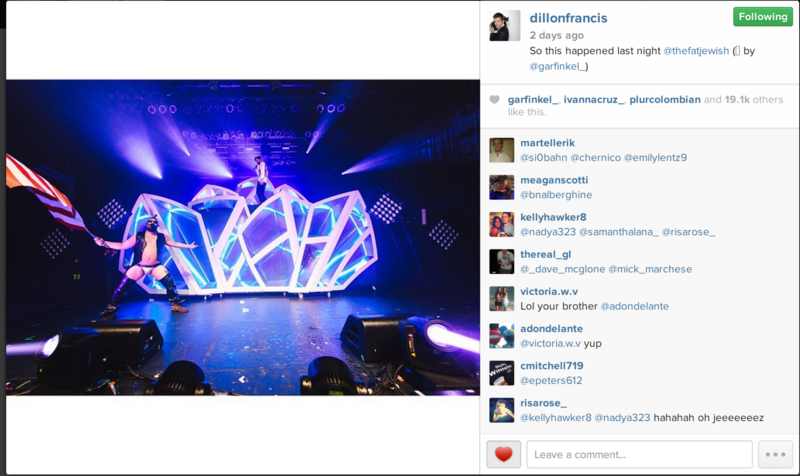 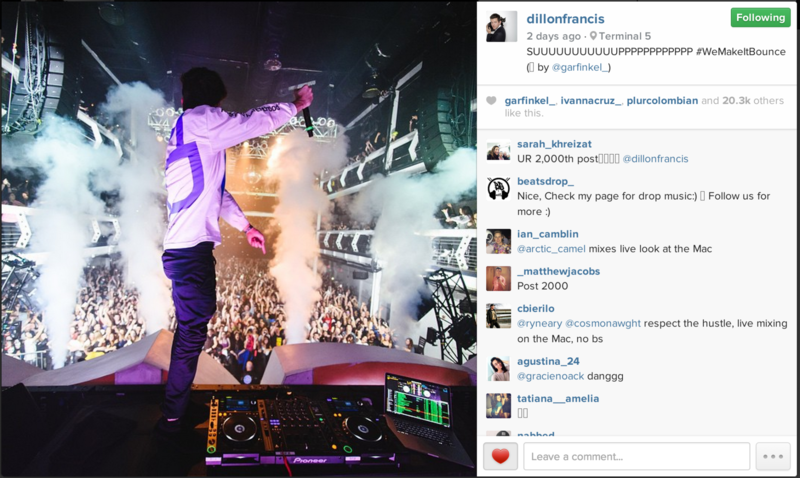 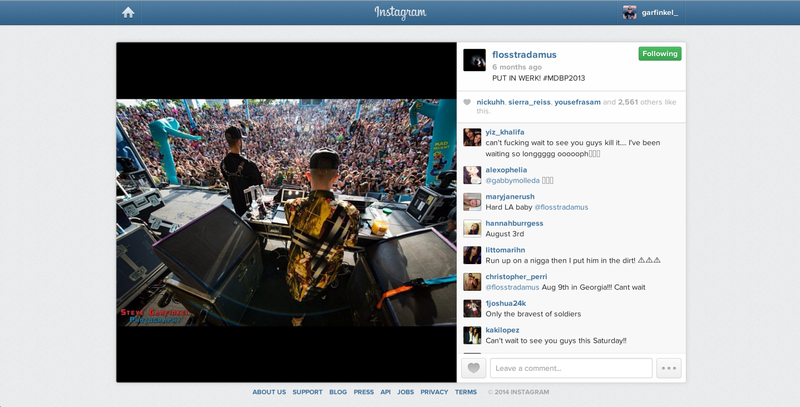 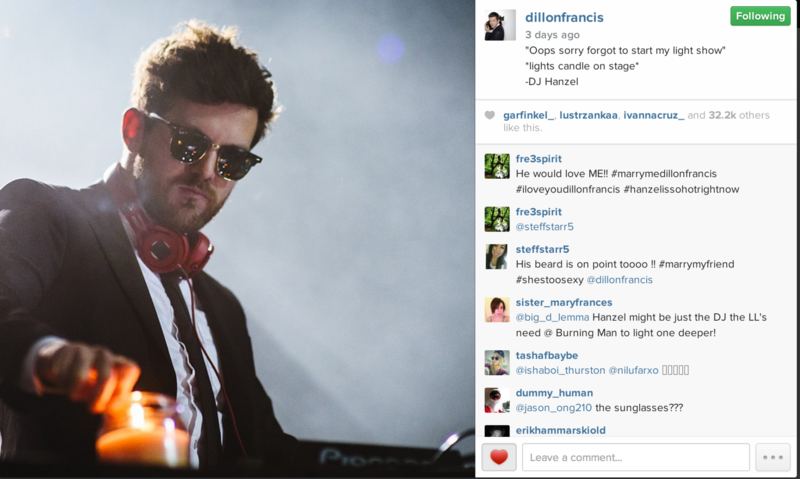 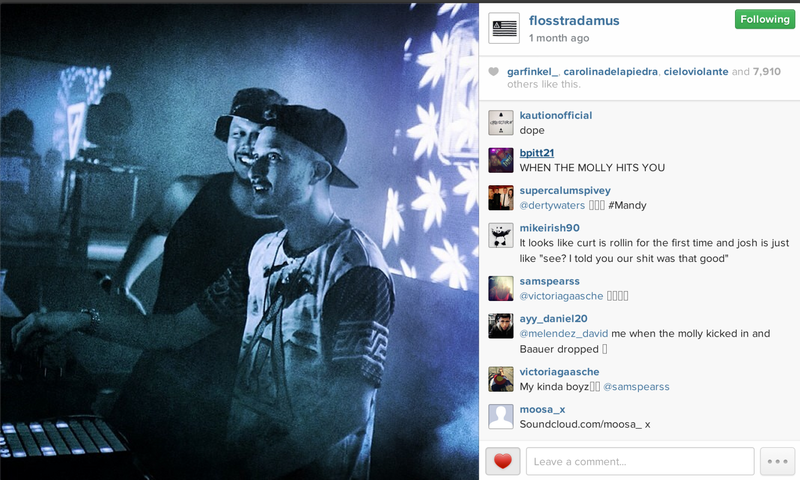 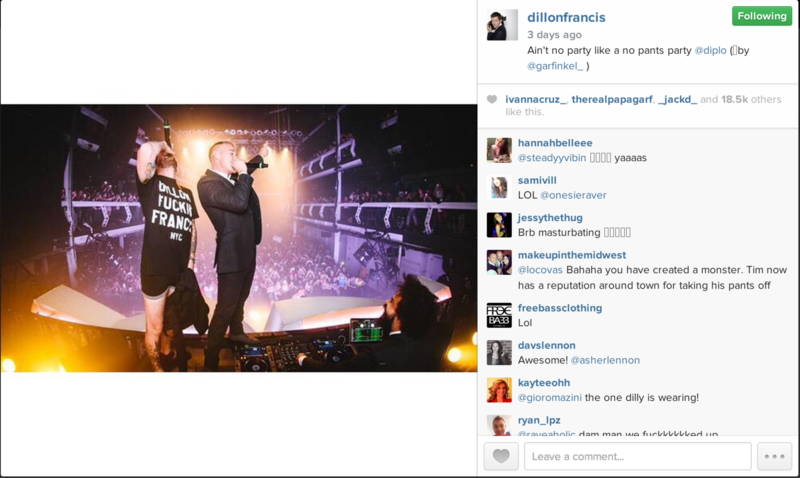 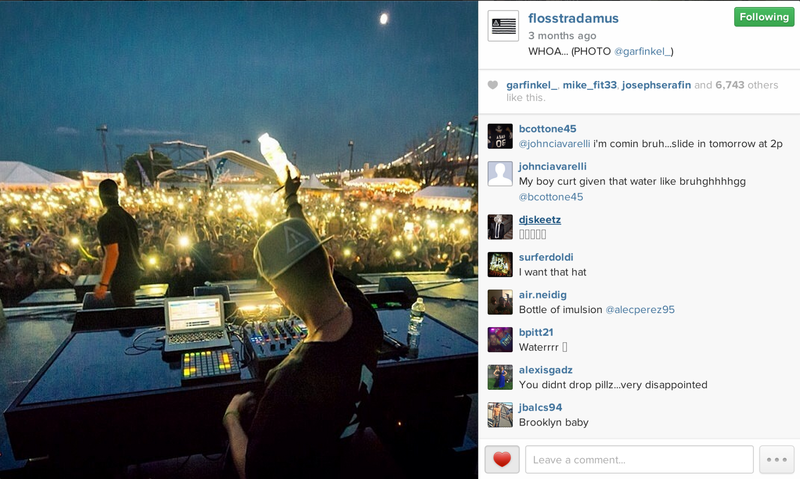 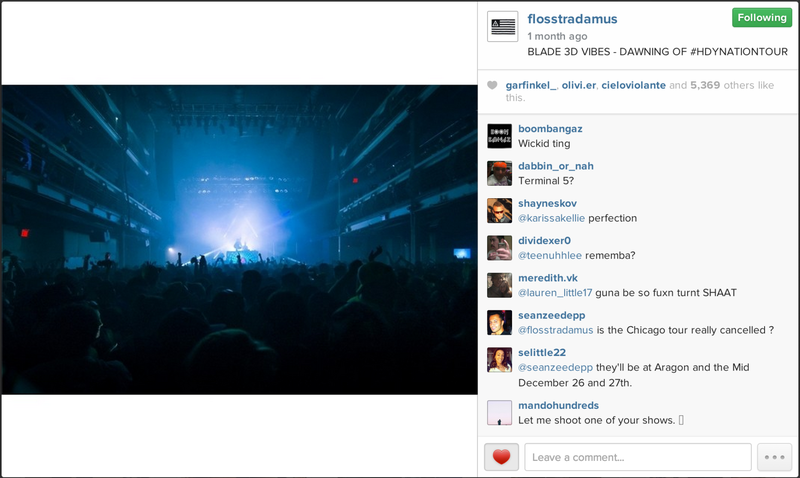 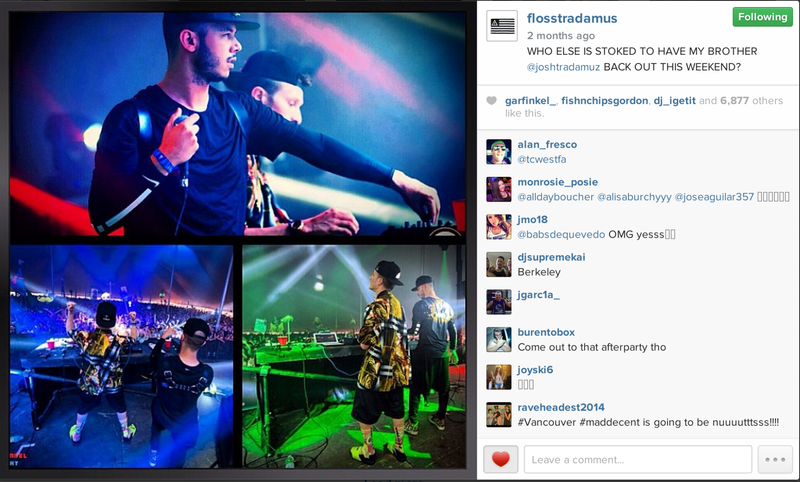 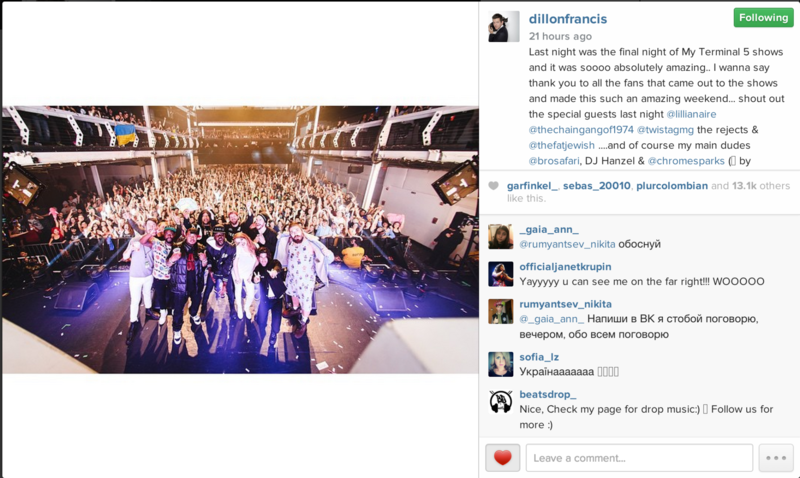 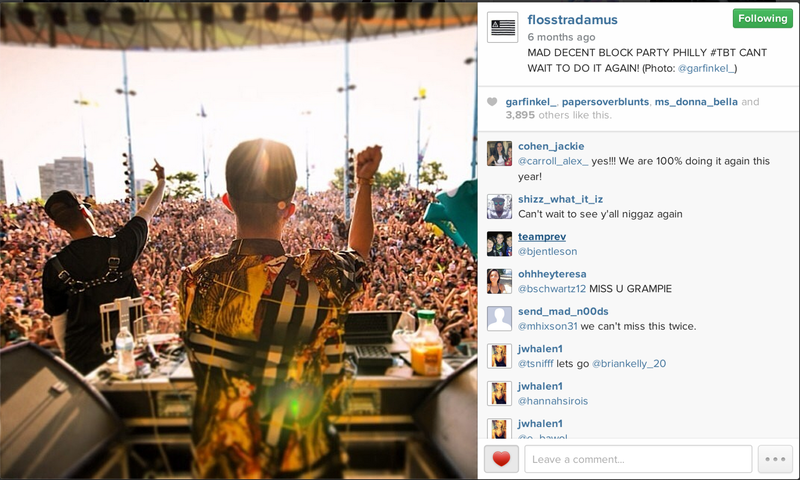 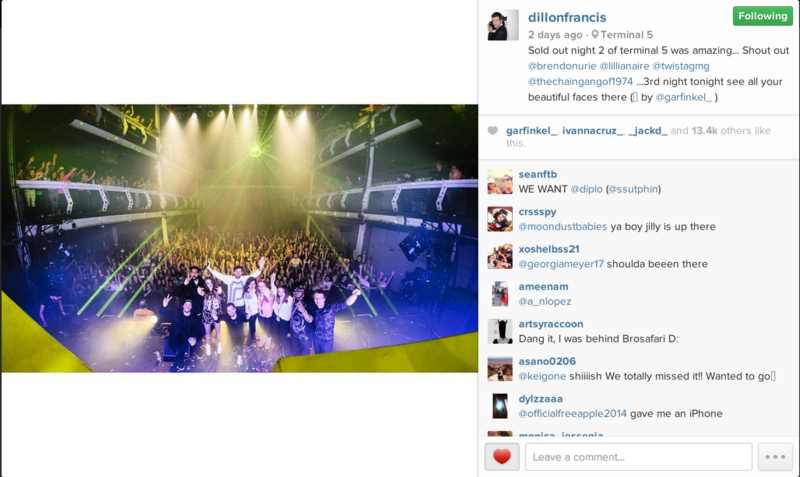 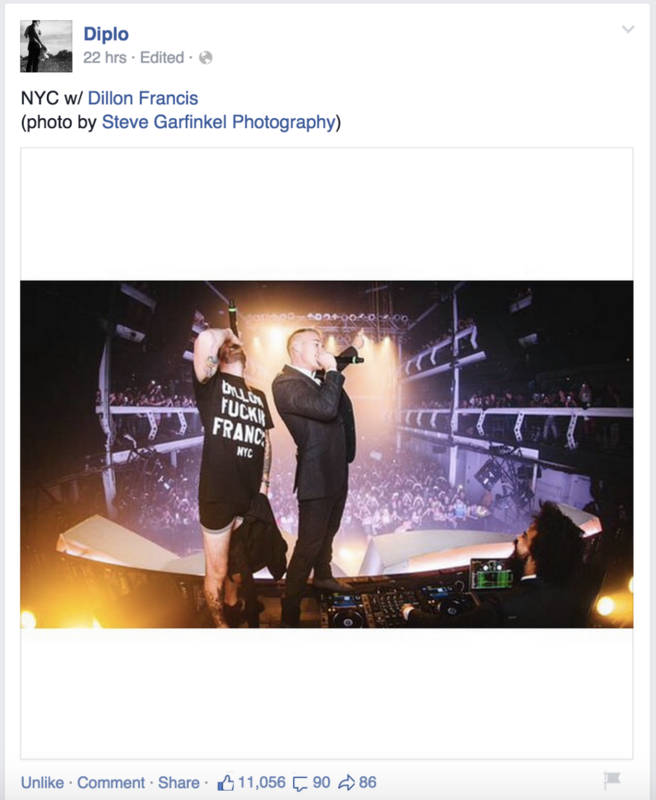 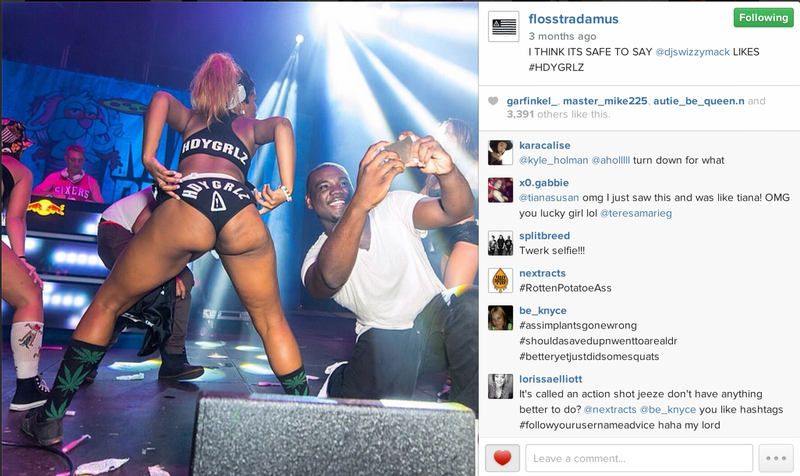 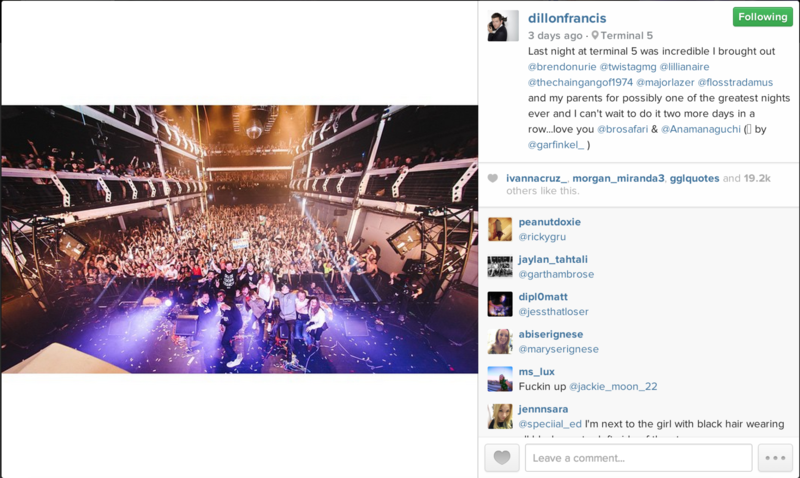 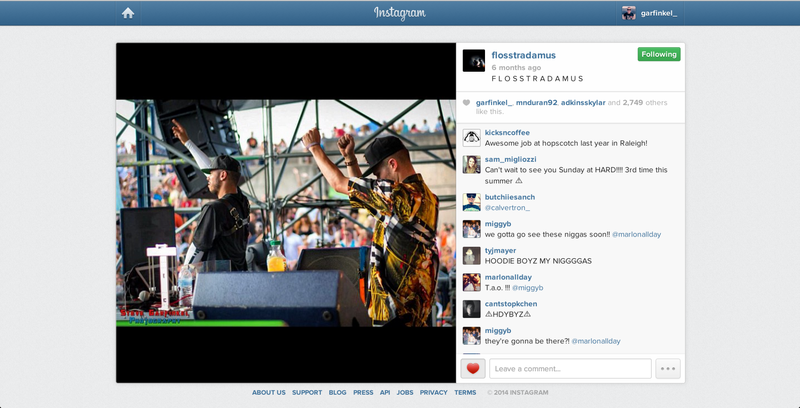 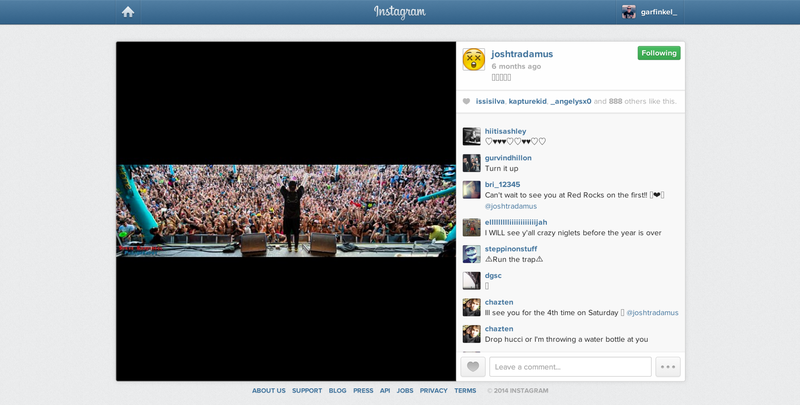 Flosstradamus sharing my photo on Instagram.